South Beach Diet Phase 1 – Are You A Fitness Freak? Here’s How To Keep The Spark Alive! Here is a detailed and easy way to understand a south beach diet phase 1, the grocery list, foods to be included and a guidebook to know how exactly you must follow it. The fact that you have come so far and kept your curiosity alive to know about south beach diet phase 1 shows your commitment and dedication towards losing weight and leading a fit and robust life. What is a south beach diet and why is it named so? What is the purpose of a south beach diet? How to start with a south beach diet phase 1? How to make the south beach diet phase 1 plan successful? A south beach diet is the most popular weight loss diet that was designed by a famous celebrity doctor named Arthur Agatston in Miami, the area that was adjacent to the south beach. Miami was the area where the doctor was practicing his medicine. Dr. Arthur felt that the weight loss diet that was trending then (recommended by American heart association) contained high carbohydrates and did not meet the needs of people. This made the renowned cardiologist develop a brand new modified low carbohydrate diet which has now become popular as the south beach diet that helps people lose weight and stay fit. And yes! Unlike other popular fad diets, a south beach diet requires you to work out in order to achieve a healthy weight loss but do not worry! The diet does not count the calories and carbs in particular. All you need is to know the foods that have to be included in each phase and foods to avoid all of which you will learn in this guidebook. A south beach diet consists of three phases (Phase1, Phase2 and Phase 3) and as each stage passes by, you will see a gradual increase in the number of carbohydrates and a gradual decrease in the number of fats and proteins. Phase - 2 Continues until you achieve the desired weight loss All foods from phase 1, limited fruits & good carbs. 1 kilogram per week until you achieve your desired weight loss. Phase - 3 To be followed for the rest of your life All foods in moderation An ideal weight should be maintained for the rest of your life. *Workouts are included which are mentioned below in the article. An interesting aspect of the diet which makes people opt the diet for weight loss is that a south beach diet contains three regular meals and two snack times per day. So, you need not really starve yourself to achieve a successful weight loss! We may sometimes exceed the limits of our food intake which is not only going to have a temporary impact on our health but it does show a definite permanent effect in the form of some chronic health disorders. Adapting a south beach diet is going to promote a healthy lifestyle and prevent us from becoming obese. Guess why? It is because all the nutrients you need for a healthy lifestyle (viz., carbohydrates, proteins and fats) and a south beach diet is all about balancing the intake of good carbohydrates, consuming monounsaturated fats and including lean proteins in your diet. A south beach diet plan is one of the commercial diet plans but you really need not opt for an expensive diet plan because here is a perfect guidebook along with the south beach diet phase 1 recipes to help you achieve weight loss at a low cost. Get set to welcome a brand new lifestyle that boosts your confidence and promotes a healthy weight loss. You need not strive much to adapt to the south beach diet phase 1. You will get habituated to this dietary mode once you get mindful about your eating habits and motivate yourself towards living a healthy lifestyle. As we have already seen the overview of the diet plan, south beach diet phase 1 consists of the best choice of foods from all the categories (carbohydrates, proteins and fats). The foods that you choose to eat for the first two weeks should only be the ones from the south beach diet phase 1 grocery list. You will get to eat three meals and two snacks per day. So you are not letting your stomach growl out of hunger in an attempt to lose weight. 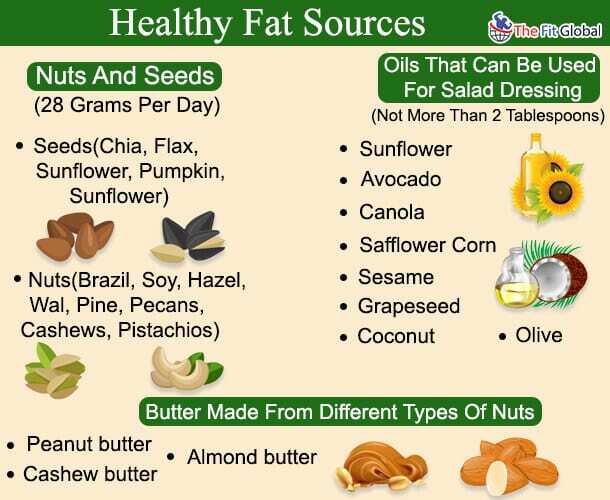 A rule for women – You must necessarily include 2 healthy fats, 5 non-starchy vegetables and 3 lean protein foods per day. A rule for men – You must necessarily include 4 lean proteins, 5 non-starchy vegetables and 2 healthy fats per day. Drink 1.5 to 2 litres of water per day to get rid of problems like water retention and constipation. Indulge yourself in activities like Yoga, aerobics or any other physical activity. There must be an activity of at least 30 minutes a day. There is a detailed description of the activities to be performed at the end of the article. 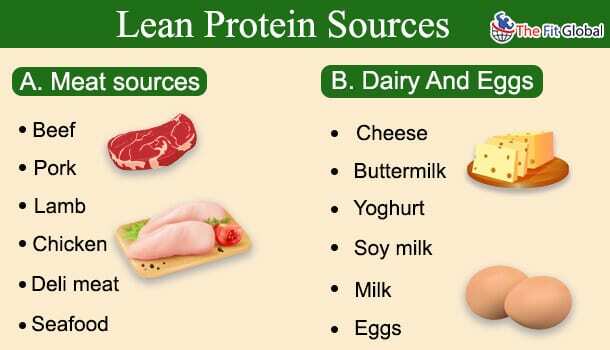 Here is the list of lean protein sources, healthy fat sources and non-starchy vegetables from which you can choose your breakfast, lunch and dinner foods. Now that you have a well prepared south beach diet phase 1 grocery list, here is a sample diet plan for you to understand how it should be followed to achieve a successful weight loss. One serving of lean proteins (28 grams). Choose any source of lean protein from the diet but ensure that it does not exceed one serving. One serving of non-starchy vegetables (28 grams). Choose any source of non-starchy vegetable from the above list. One cup of a healthy beverage – A cup of green tea is an ideal way to go. 2. What To Eat For Lunch? One serving of protein (Any kind of lean protein from the above-mentioned list & not more than 1 serving). 3. What To Eat For Dinner? You can include dairy products but ensure that you do not exceed the limits. One glass of milk before going to bed would help you curb your hunger pangs if you feel that your stomach doesn’t feel full after your dinner. You can have a vegetable salad dressed with oils which are a healthy fat source (Choose oils from the above-mentioned list for a healthy weight loss and make sure that you do not exceed the limit of 1-2 tablespoons. Fruits – Do not consume any fruits during the south beach diet phase 1 of the plan. This includes fruits like pears, berries, apples, grapes, peaches, cantaloupes, and apricots. 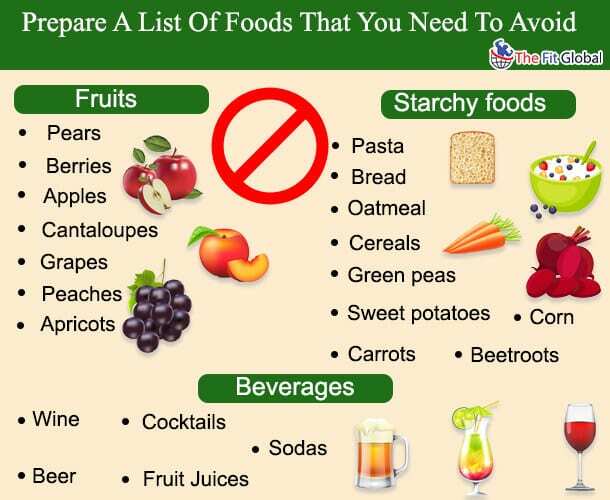 Starchy foods -There should not be any starchy foods in your list. This includes baked foods, pasta, bread, oatmeal, cereals, matzo, and rice. It also includes starchy vegetables like turnips, green peas, yarn, sweet potatoes, carrots, beetroots, and corn. Beverages -Do not consume any beverages like wine, beer, fruit juices, sodas, or cocktails. Most of the times, we get motivated by a diet plan so much and start it with a great enthusiasm but one thing we all as humans may lack is consistency. So, all I wanted to tell is don’t mess up with your diet plan. Just kidding! Easy. The actual point here is that “Consistency is the key to mastery” and this applies literally to everything in your life. So, when we have taken up such a purposeful challenge of achieving weight loss we must definitely be mindful about what we are eating! A south beach diet is not similar to those routine fad diets that make you lose weight temporarily. It is something you opt for a healthy weight loss that has to stay with you for a lifetime. Here Is Where The Secret Lies! The plan has been designed in such a way that you will lose 4-6 kilograms in the first phase which lasts for two weeks. The second phase requires you to follow the same foods until you reach goal weight by losing 1 kilogram per week. The third phase allows you to eat in moderation for the rest of your life to maintain the physical fitness. So, it is quite evident from the plan that phase 1 is the part of the diet plan that deserves great attention and commitment because it is one of the toughest hurdles that you need to cross. Once you achieve the desired weight loss in phase 1, the rest follows! Eggs are the best protein sources you can opt for breakfast. Here is an easy scrambled eggs recipe to make your mornings energetic. Make sure that you do not use more than 2 eggs in making the recipe! Beat the two eggs in a bowl and whisk them until the egg white and yolk get mixed. Add little amounts of salt and pepper for a good taste and stir them again. Heat a medium sized skillet and add a half teaspoon of butter to this. 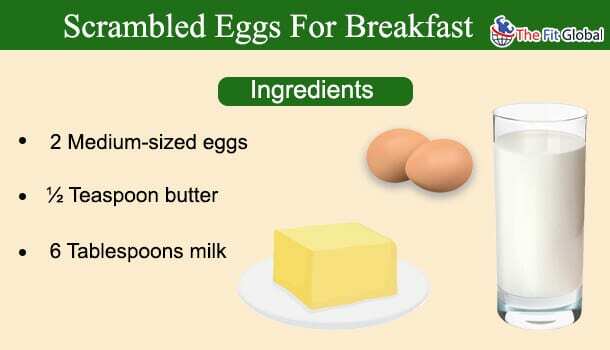 Fold the corners of the eggs into the center using a spoon and stir the scrambled eggs. Continue doing this (folding the edges and stirring) until you see the eggs being cooked loose and smooth. Serve the scrambled eggs hot and delicious. Having non-starchy vegetables for lunch does not mean your taste buds cannot be satisfied! Here’s a tasty recipe to make your lunchtime appetizing. Take a large bowl and mix onions, broccoli, tomatoes, and cauliflower together. Take a separate bowl to combine mayonnaise and vinegar so that a dressing is prepared. 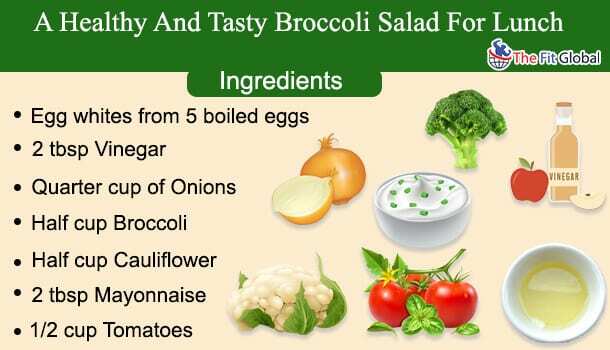 Dress your salad with a mix of mayonnaise and vinegar and to finally prepare a tasty and healthy broccoli salad. You can also top the salad with a tablespoon of extra virgin oil if you desire a good flavor. Weight loss can be easy when you select those veggies that are rich in proteins and choose a method to make them tasteful. Here is one such healthy recipe that would be a perfect choice for your lunch or dinner. Fill a vessel with water and add a pinch of salt to it. Let the water boil for 10-15 minutes after which you can add Brussels sprouts to this. Ensure that the Brussels sprouts are thoroughly washed. Use a fork to check whether the vegetables are properly cooked. (They should seem tender and soft). Use your hands to spread half a teaspoon of butter around the serving plate. 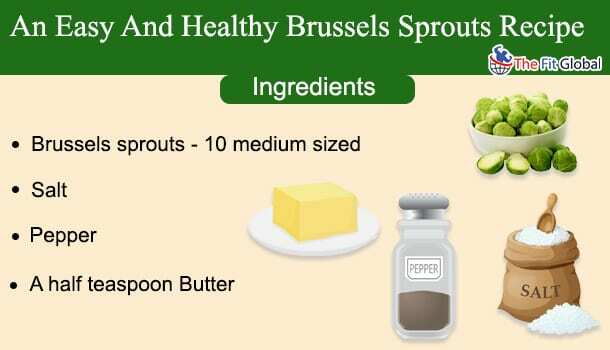 Add the cooked and seasoned Brussels sprouts to the plate and flip and toss them until they are buttered and flavoured properly. How To Work Out While Following South Beach Diet Phase 1? A diet plan does not really serve a healthy purpose if you do not make attempts to work out. Studies have proven that working out increases the lifespan of a person and more importantly it keeps your heart healthy. If you are all set to join a gym, an aerobic session, swimming class or a yoga class, wait no more! Get ready to make your life colourful by indulging yourself in any of these recreational activities. A 30 minutes’ vigorous workout is all you need during phase 1 of the south beach diet plan. If you are currently experiencing any serious medical condition that prohibits you from opting any of these recreational activities, you can include walking in your workout regime. Ensure that you spend 30 minutes walking (which should essentially be vigorous) so that excess calories are burnt. A vigorous walking requires you to change the pace of your walking so that your 30 minutes’ walk results in a fruitful weight loss. Here is the exact pace that should be followed while walking. You can set a stopwatch to note the time period of your walk. Now that you are completely clear about phase 1 of south beach diet plan and how to implement it, wait no more! Get ready to begin a new lifestyle that is going to make you forever healthy and fit. The phase one of the diet plan is what requires a great commitment. Set an aim of losing 4-6 kilograms in a week and strive towards your goal with great zeal and dedication! Once you have marked a victory of losing desired weight, get ready to follow phase 2 of the diet plan. Get to know about the detailed plan of south beach diet phase 2 here.